Crews remove a boat that washed up on the shores of Cadboro Bay earlier this year. Long-awaited relief should be on the way for Saanich and other coastal municipalities in dealing with abandoned and derelict boats. Last winter Saanich spent more than $50,000 to remove vessels from its shores. One boat, the concrete-hulled Pacific Sun King, sat on the shore of Cadboro Bay from Dec. 5 until Feb. 17. It was eventually demolished by an excavator, on site, and hauled to Hartland Landfill. Even with the boat owner’s verbal commitment, permission wasn’t granted to deal with the boat until Transport Canada’s receiver of wrecks would officially sign off. The cost of boat removals grew so high that staff and council briefly considered implementing a budgetary amount to cover the costs. However, after years of unheeded recommendations for an end of life vessel disposal program, the federal government’s Nov. 7 announcement of a $1.5 billion Oceans Protection Plan brings new hope that a better system is on the way to deal with the removal of derelict or abandoned boats. It’s an area Saanich Coun. Judy Brownoff has been working on for a decade. Earlier this year Saanich endorsed Brownoff’s report for a better derelict or abandoned vessel program that went to the annual general meetings for the Association of Vancouver Island Coastal Communities and the Union of B.C. Municipalities. In late October, Sheila Malcolmson, the NDP MP for Nanaimo-Ladysmith, introduced a private member’s bill in the House of Commons to amend the Canada Shipping Act, saying there are 600 of these vessels across the country. There are several models Canada could follow, such as Washington state’s program. 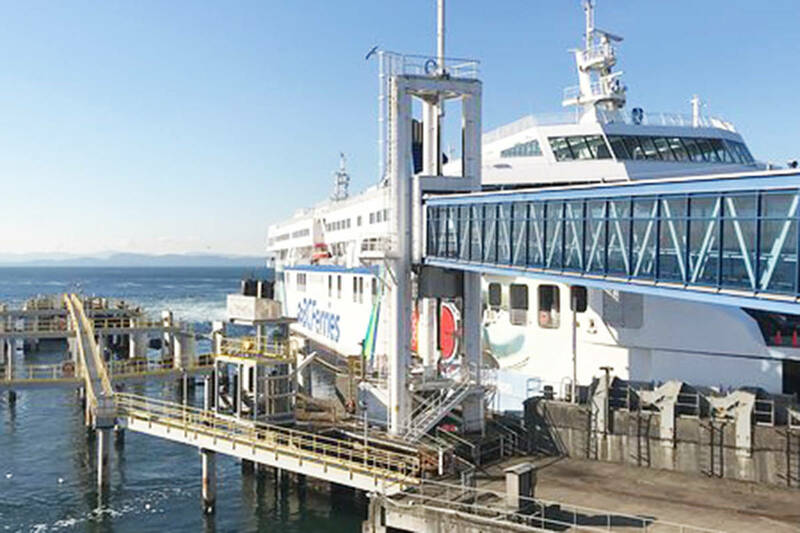 Funding for a contingency fund could come from fees from vessel purchases, registration, insurance and moorage. Municipalities could then apply for reimbursement, Brownoff suggested. In the end, Brownoff’s chief concerns are finding a way to simplify the process. If the Coast Guard takes on that added responsibility, it will likely need the budget support to do so. Brownoff is also concerned about the ongoing fallout for owners who acquire boats for the purpose of living on them but without the resources to maintain them. “There will always be a segment of boat owners who don’t have the financial means to deal with their boat coming to shore, crashing, or cleaning it up, so the devil is in the details as we look forward to this,” Brownoff said. – This story was updated to remove an error regarding MP Sheila Malcomson’s bill.